Rome, AD 41–43.The leaders of the Praetorian Guard and Herod convince Claudius that he should take up the Imperial crown, since the alternative would mean the death of his family as well as civil war. Claudius in turn convinces the Senate to proclaim him Emperor. In his first act, he condemns Cassius for the murder of Caesonia, but pardons the other conspirators. Livia is finally deified and made a goddess. While he does execute Cassius, he spares the lives of the co-conspirators! He makes Livia a god! (WHY DID THIS MAKE ME SO EMOTIONAL OH MY GOD. HE KEPT HIS PROMISE.) He is reasonable, he is exceptionally kind to his wife, he gives an ear to nearly every issue before him, he roots out corruption and then he doesn’t murder people for it, and by gods, HE IS REALLY GOOD AT HIS JOB. Which is why this episode is ultimately so frustrating and unnerving. This man tried to be good, and he tried to put his faith in people, but he forgot that he was still living amongst the traitors, backstabbers, the corrupt, and the depraved from Caligula’s reign. If one bad apple can spoil the bunch, then one good apple can’t change the whole barrel. Holy crap, BERNARD HILL was one of the Praetorians!! How did I not see that until now?! Narcissus and Pallas are great. Narcissus in particular gets some great dialogue and physical comedy moments (mainly in subsequent episodes IIRC). I'm pretty sure the Greek doctor scene is straight out of the book. 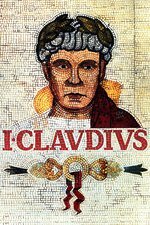 It's amazing how quickly Claudius becomes an Emperor. It happens over the course of his speech to the Senate. For someone who doesn't want to be Emperor, a lot of his lines are some degree of threat. In the opening "there are 4000 Praetorian guard who do not agree", when he references Caligula's approach to criticism "and by now your head would be on that floor for saying so" and again at the end when he tells the Senate that if they don't confirm him to explain their reasons to the Praetorian guard. Derek Jacobi does such a great job with this speech. He never looses the stammer, but once Claudius is rolling in his speech it becomes significantly less marked. There's a subtle shift right around the "Evidently quantity of wits is more important than quality" line, not just in the stammer, but he looses any sense he's hesitating over what he says. Claudius has settled into the role. Claudius' luck with women is on full display with Messalina. "I want to be Livia to your Augustus" that's a hell of a line. Messalina's also where the portrayal of women in I, Claudius takes a definite turn for the problematic. Allthough that's sort of a driving theme in the series. The good, or even just not ruthlessly self-interested, women have things end badly for them. Off the top of my head, exile, whipping then exile, starved to death by her mother, murdered in childbirth, murdered in a palace coup. She's also an example of something else that's implicit in the series rather than being explicit. There's this ongoing process whereby each ruler's plots and intrigues creates a generation that grows up in a worse and more degraded Rome. The historical Messalina was born 3 years after Tiberius came to power. The last 5 episodes is where she grew up. Messalina's also where the portrayal of women in I, Claudius takes a definite turn for the problematic. Not that I don't agree, but Messalina, like Caligula, is such a well-established, larger-than-life historical figure that I feel like there was little likelihood she'd be presented in any significantly different way.